The Industrial Commercial Bank of China signed an agreement with the World Gold Council to help promote domestic demand in China for gold. The WGC is as inept an organization as there is in the world of gold. For the past 10 years, they promoted gold as “jewelry” instead of “money.” The Chinese are supposed to be shrewd. I don’t know what they were thinking to partner with such a loser group. The Chinese are running ads on their State-owned China Central Television urging their citizens to purchase gold and silver. Retail investment in gold rose 57% in the first quarter over the previous year. There probably is no greater source of “demand” for gold than the Chinese middle and upper class. And that demand is growing rapidly. China is now the number one gold producer, having recently leaped ahead of South Africa and they are not exporting a single ounce of their newly mined gold. It is all destined for their own burgeoning market. What that means is that all of the production from the world’s largest producer is “off the market!” Very bullish for gold. Apart from China’s retail demand, their central bank will also quietly increase their holdings too. Directly or indirectly, I expect them to add to their holdings by importing gold as well. China, India, the Middle East, wealthy Europeans, and even wealthy Americans are providing enough demand to keep constant upward pressure on the price of gold. You are watching the start of a great bull market – even though gold has risen every year since 2000, the real action has yet to materialize. It is coming, and soon. My advice is “beat the crowd.” $1,200 gold is CHEAP. 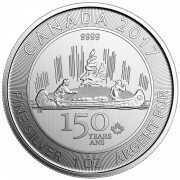 $18 silver is even CHEAPER. Vacancies at U.S. shopping malls hit a near-record 10.9% in the second quarter. That’s up 0.1 percentage point from the first quarter and nearly a full 1% point from last year. Last quarter’s vacancy rate has been topped only once in 30 years of data: 11.1% in 1990. With so many stores going out of business in the malls and closing up shop, it It sounds like consumers are pulling back. Wait until later in the Fall. I expect retail sales to be a disaster. The only way that Administration can pull off a victory in the November elections is to somehow juice up retail and the stock market. The only way that they can keep things from imploding is to flood the system with more Fed generated fiat money. Bernanke will continue to inflate, I guaranty you as much. That, of course, is about as gold friendly a scenario as one could ask for. Be patient. 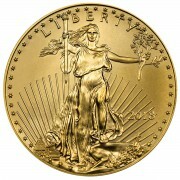 $1,650 gold is coming by February, 2011. How do I know? Because Jim Sinclair says so and I have that much faith in his views. 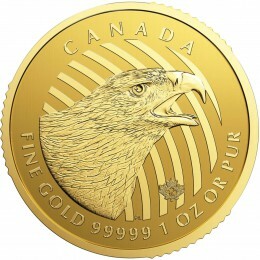 Here are Sinclair’s latest comments: Gold is headed to $1650 and beyond. All your concerns in retrospect will be seen to have been concerns caused by manufactured noise. Time and time again you have seen this. Time and time again gold will not be stopped. Nothing has changed. Nothing has been rescued. The can that is being kicked daily down the path is going to turn around and bite the kickers. Gold is the only insurance. Later, in today’s Daily, there is a discussion on a new tax law that will affect all buy-backs. A 1099 will be generated on any sale of $600 or more. 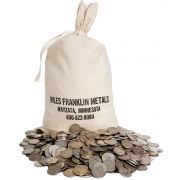 If you are concerned, then be prepared to sell your metals back to us before the end of the year. There is an alternative, of sorts – whatever you pass on to your kids, privately, does not generate paper work. I suspect a lot of that will transpire. Dr. Jeffrey Lewis writes about “The Death Cross” later in today’s Daily. So did Richard Russell, yesterday. Russell said, I told you I would explain the so-called “death cross” and the “golden cross.” First, the death cross occurs when the shorter moving average crosses below the longer MA. That’s a first technical sign of danger. You see the first “death cross” just occurring on the widely-followed S&P 500 below (daily, where we follow 50-day and 200-day moving averages). A more powerful bearish signal is seen on the second or weekly chart (where we follow 10-week and 40-week moving averages). Interestingly, the death cross occurred in June of this year, before we saw it on the daily chart. On to the monthly chart, which is the most powerful and authoritative of all (trumping the dailies and the weeklies). Here we see that the death cross occurred in the third quarter of 2008 and on a monthly basis we never got a bullish signal for the S&P. While I was at it, I applied the cross method to gold. Here we see a powerful monthly (“golden cross”) that occurred back in early 2002. Note how strongly gold has held above its (blue) 10-month moving average. The position of the blue 10-month MA above the 40-month moving average is clearly long-term bullish for gold.